Written and Media by Yoshiko Tanimura. “Everything is practice,” says Pele, one of the most well-known soccer players of all time. The field is the real stage for all players because the team that can perform their 100% on the “stage” will be the one that brings a victory home. 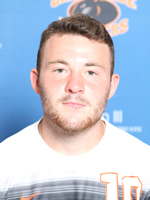 After a tough loss to Illinois College on September 20, the Greenville College men’s soccer team was ready to step it up for their first conference match up of the season against Webster University. The Panthers took the field as the GC supporters cheered them on in the hot, damp, and humid weather. But the weather wouldn’t dampen the spirit of the team as each player showed great determination on their face. As the opening whistle blew, it was evident that this game meant something and both teams had something to prove. The competition was back and forth as both teams were doing all they could to create a chance on goal, but neither team was budging. As the clocked ticked, GC began connecting passes and spreading the field against Webster. The halftime whistle would blow with a score line of 0-0. However, the Panthers wouldn’t be able to hold of Webster for much longer. Only two minutes after the second half whistle blew, Webster was able to find the back of the net going one up on GC. Seven minutes into the second half, GC won a corner kick and sophomore, Caleb Mulholland stepped up to take it. The corner kick was taken beautifully, however, GC couldn’t get on the end of it and Webster ultimately gained control of the ball. Senior Brent McCollum would create yet another scoring opportunity for the Panthers as he was able to get a shot off on goal. However, McCollum’s shot was saved and the score remained 1-0 in Webster’s favor. Greenville knew they had to step up their game if they wanted a chance at beating Webster. This determination showed as the effort from the Panthers could be seen by all. But Webster would not let down and with thirty minutes left, Webster would double their score creating a scoreline of 2-0. 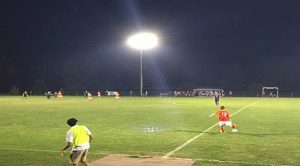 After Webster found the back of the net, GC head Coach, Chris Swift decided a change needed to be made as it was evident that frustration was a common trait among the players on the field. Swift made multiple substitutions hoping that the fresh bodies would change the tides. Greenville continued to put forth maximum effort and even created multiple goal scoring opportunities. But Webster’s disciplined defense could not be broken. 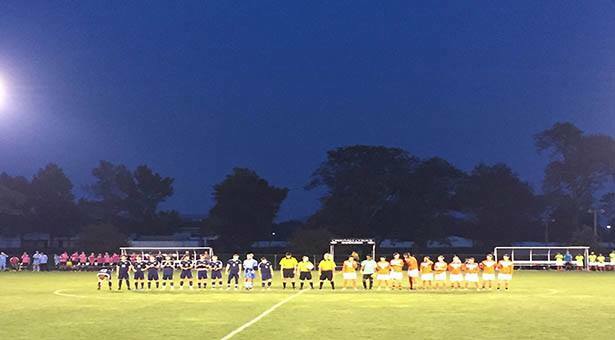 The final whistle would blow and Greenville would face a tough loss to Webster University. GC continues their road to the conference tournament as they play Principia College on Saturday, October 1, at 7pm. Come out to the Greenville College soccer field to carry the Panthers onto victory!